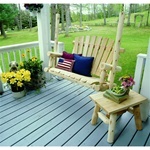 The wooden benches offered here can give a natural rustic look to any garden area. 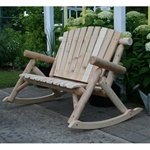 Wooden benches can give the natural beauty of your garden a nice architectural contrast. 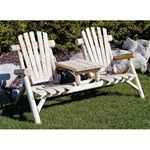 Just imagine yourself relaxing in your garden, sipping a cool drink while gently rocking back and forth in your new glider bench or rocking love seat! 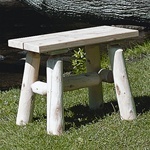 We also offer a Tete-A-Tete style bench which has a table between two seats. 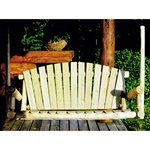 Many of the wooden garden benches featured on this page are made from 100% cedar. 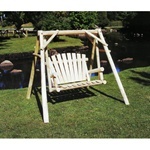 One of the great things about this material is its natural resistance to rot and infestation of insects. 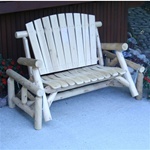 The cedar logs used in many of these benches are a by product of the log home industry and as such are a renewable and environmentally safe product. 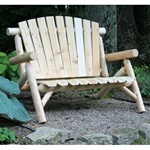 Cedar log wooden garden benches will get some naturally occurring checking as the wood dries. 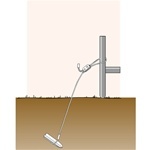 This checking normally only occurs on the surface and doesn't effect the structural integrity of the product. Whatever product you decide to choose, please be assured that we will look forward to assisting you with solving any problems or issues you might have with your product or shipment thereof. Unlike many larger companies, we still value the quality of customer service that our customers receive. If you deem us worthy of your business, we feel that you deserve to speak with someone at our company instead of some outsourced "customer relation management" firm. Please contact us if you have any questions or concerns regarding your order. 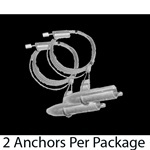 We are here to serve you and we want to make sure you have the best possible experience with us!